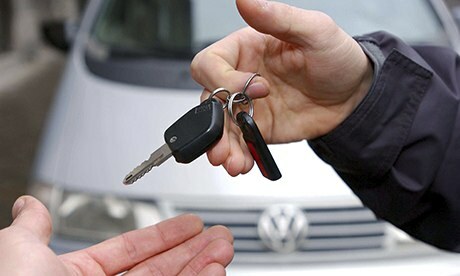 Is a Company Car a Good Idea for Employers? As an employee, the benefits of a company car are clear, but as an employer, it can be difficult to decide whether the money spent is actually worth it for your company. In fact, with every passing year it seems that this particular benefit is becoming a thing of the past in many businesses across the country. So, as an employer, should you offer a company car to your employees? There are a lot of pros that will come out of offering such a benefit, but is it possible to achieve similar results for less money? There are a few obvious benefits to offering a company car to your employees, and one of the main ones is the unmeasured benefit of employee satisfaction. There are a lot of factors that go into a person’s decision to pick one employment opportunity over another one, but something like a free vehicle for the duration of employment is the kind of thing that can really tip the scales for a lot of potential hires. There is also often a potential tax benefit for employers who offer company cars as a fringe benefit. However, there is a reason that fewer companies are now offering company cars. There are a few potential drawbacks of such a benefit, and an obvious one would be the potential cost. Is the price paid for a company car (or more likely multiple company cars) worth the investment? Yes, employee retention is important, but there are a lot of other factors that go into that, that would arguably have a more significant impact. Many people choose to take public transport or alternative modes of transportation these days, so unless your employees are required to drive for their work, it might not even be a useful benefit. Furthermore, there may be frustration from other employees who do not qualify for a company car. As an alternative to a company car, sometimes it is more valuable to simply offer a monetary allowance for transport to each of your employees. Of course there are also drawbacks of this, such as potential abuse of the system, however, there are enough ways to monitor and prevent this, that it still makes it a better option for many employers. So which is better, an allowance or a company car? The choice is ultimately up to you, and there are certainly benefits of each option. If you are a smaller company however, it might be better to spend your money in a place that will be more beneficial for everyone. Don’t forget to enter our new giveaway, and win a set of Bose earphones and a car bluetooth kit by liking us on Facebook!